The Hyosung Halo II has been designed to be the best value for your dollar and provides a wealth of features only offered by higher end models. Halo is fully EMV capable accepting all Chip cards. 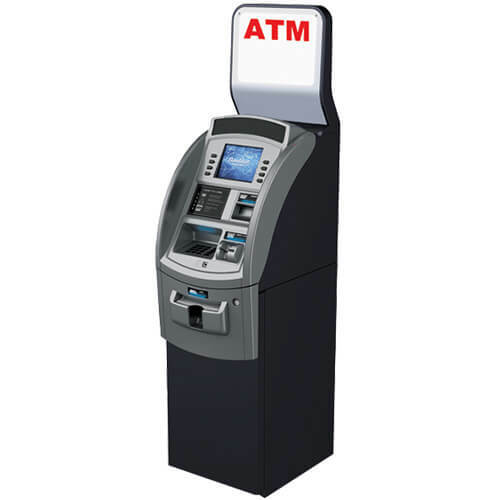 ATM’s are an excellent revenue generator with a very quick return on investment, depending upon the number of transactions processed during a month, recovery is often 4-5 months. Alternatively, merchants can enter into a Placement Agreement at a considerably lower income earning opportunity. Placement is the practice of an Independent Company installing an ATM in a merchant’s premises and paying the merchant a fee per transaction. The ATM is owned by the Independent Company. While the merchant does not invest any funds in the ATM, the per transaction fee does provide additional revenue to the merchant. Purchasing an ATM is a far better investment for merchants as merchants receive the full amount of the Surcharge received on each transaction. The cost of the ATM is recovered within 4 – 5 months. Download an actual example showing a comparison of Purchase and Placement.